Despite the city’s everyday challenges Rio’s local residents, known as ‘Cariocas’, wouldn’t dream of living anywhere else, and post-Olympics the tourists still flock by in their masses despite the media’s portrait of this dangerous and dilapidated city. And its all for one simple reason… Rio is alive. Here you indulge in life’s deepest pleasures: human connections, street corner music, sweet fruit juice, a kiss, a turquoise ocean and the pure energy of living in the moment. This third largest city in South America unravels over and between several mountains by the Atlantic ocean, nestled under a statue of Christ 700 meters high and governed by the jurisdiction of a new president (since the last one was just impeached). However, the real city lies in the subtext. Because it is a third world city with a first world ego, Rio will constantly have you questioning your expectations of this tropical postcard destination. The best restaurants do not have websites, the emotional state of the banks dictates the hours they are open, and Sambas parties can start spontaneously at any given time. The fastest way to Rio’s heart is to be open to making friends. It isn’t hard. All you have to do is rent a beach chair in Ipanema and you will be approached by a local, simply wanting to share a beautiful ephemeral moment and let you inside the real secrets of this city. When taking a city break in Rio de Janeiro the rule is: avoid the obvious. Everyone goes straight for Copacabana (long past its prime) and Christ the Redeemer statue (overcrowded), so my advice is to not even put them on your things to do list. 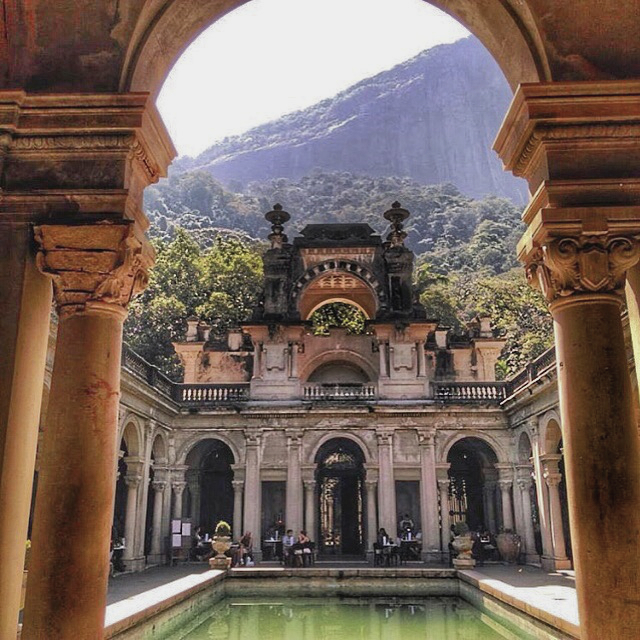 If you didn’t come to Rio for bad food or snow globes, try the less apparent Parque Lage. This sugar mill turned art school is found at the base of Christ the Redeemer in one of the last untouched parts of the largest urban forest in the world. This stellar mansion is also home to Plage Café, a fun little spot to hang out or have lunch with a good view of the man himself. Just ask Snoop and Pharrell. For a fabulous view that ticks the boxes without having to wait hours in the heat, aim for a sunset cocktail on top of Pão de Açucar (Sugarloaf Mountain). You can see everything from Guanabara Bay to the Dois Irmãos mountains, minus the crowds. What Bourbon Street is to New Orleans, the Lapa district is to Rio. During the day be sure to check out the Escadaria Selaron, Rio’s famous flight of steps adorned with multi-coloured tiles, created by the eponymous Chilean artist as a tribute to the people of Brazil. Then come back at night when people from all over the city gather to drink cut-price caipirinhas on the street under the arches. For something even more authentic put Clube dos Democráticos in your address book. Built in 1931, this art deco dance hall is located on the 2nd floor of a former Portuguese colonial home and has live forró (northeastern sensual accordion & triangle music) on Wednesday nights. For a pre-libation, go around the corner to Bar da Cachaça, a postage stamp size dive bar with artisanal local Cachaças such as green corn, açai and peanut. Read more on both Lapa and Sugarloaf Mountain here. 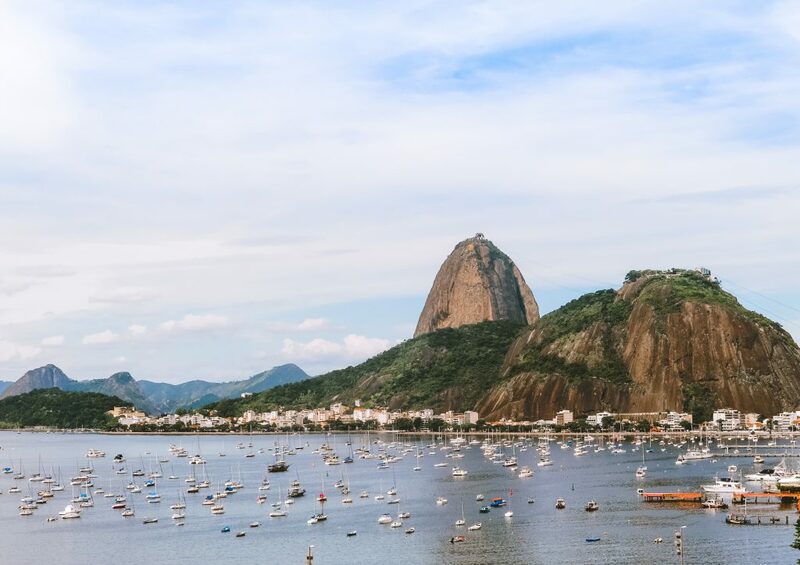 If you are determined to see every side of the city, from Christ and Corcovado to the favelas, this best-selling Total Rio Tour by Urban Adventures might just be perfect for you. Or check out a full range of activities on GetYourGuide, including some cool ones we didn’t have space to mention here. There is an assortment of bohemian neighborhoods peppered around this concrete city, but one of the hotbeds of design today is the neighborhood of Jardim Botânico. Taking its name from the actual botanical garden it surrounds, the collection of restored colonial buildings house the city’s top restaurants, art galleries and innovative boutiques. With orchids hanging off the palm trees, it is here you will find that postcard Rio of your expectations. 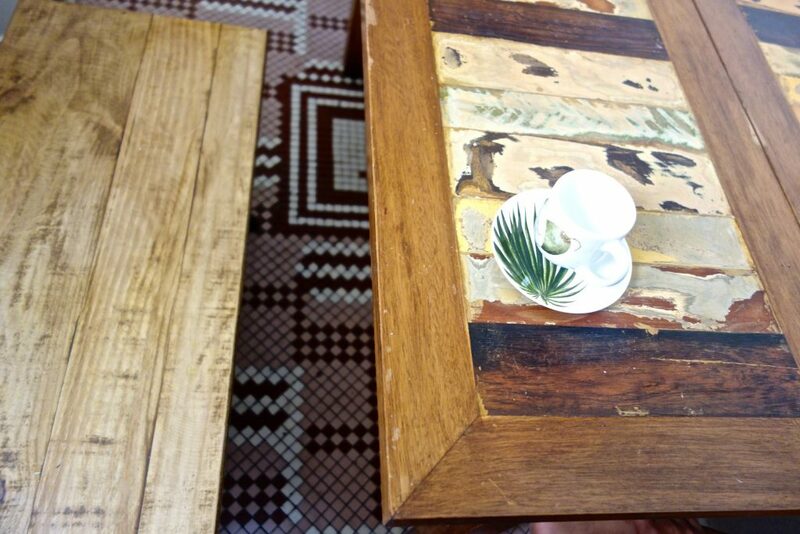 Boutique shop Dona Coisa, is the epitome of jungle meets fashion meets art. A concept store that not only showcases what Brazilian minds are thinking today, but has a delightful hidden café upstairs. Just a sneeze away is the neighborhood of Gávea. This neighborhood blends old money with the student population of Rio’s main humanities university – think world experience meets ‘generation economic crisis’ artists. While the city isn’t known for its museums, it is known for its galleries and restaurant pairings. 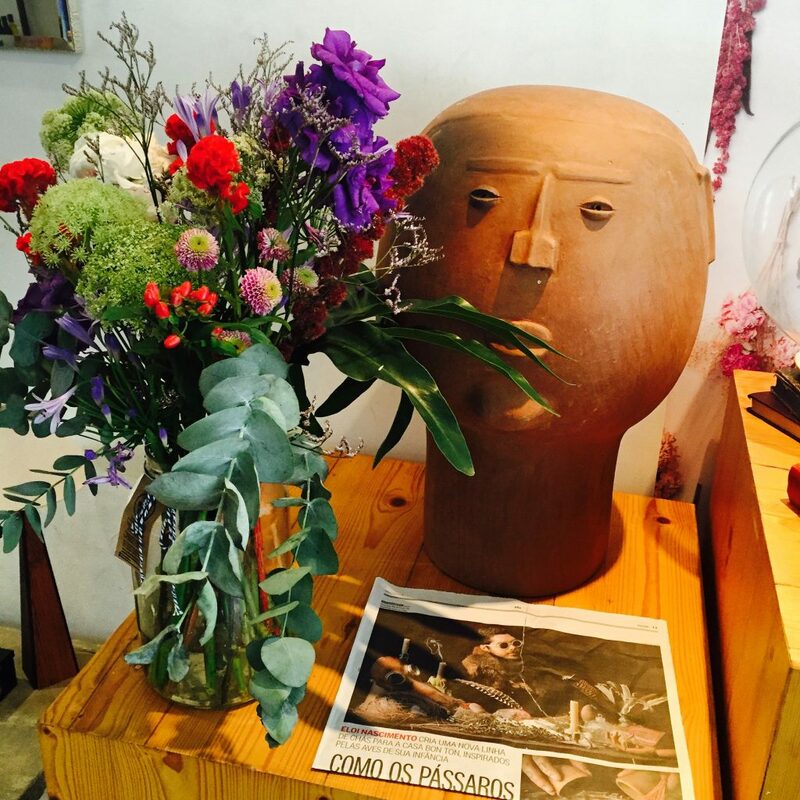 The Instiuto Moreira Salles, has rotating photography exhibitions of local artists and the incredible annex of the Empório Jardim restaurant. On Thursday nights, all the locals gather in the center of the Praça Santos Dumont to exchange ideas, eat plates of picanha with farofa and drink endless amounts of cold beers and caipirinhas. If you leave Rio without experiencing samba, you won’t have felt the pulse of this city. Carnaval is a festival of excess where the entire country shuts down for five days of nonstop partying. The image we all recognize of the colorful parade with glitter-clad women and 100 piece drum bands, is actually a samba competition that takes place in the epicly-titled Sambódromo (where tickets are sold at extortionate prices). The real Carnaval, as locals experience it, happens in the two months leading up to the official dates, when the city’s various samba schools hold their all-night practices. These warehouse parties always include the ubiquitous free flowing caipirinhas and traditional feijoada. Some of the top players include Salgueiro, Unidos da Tijuca and Mangueira. 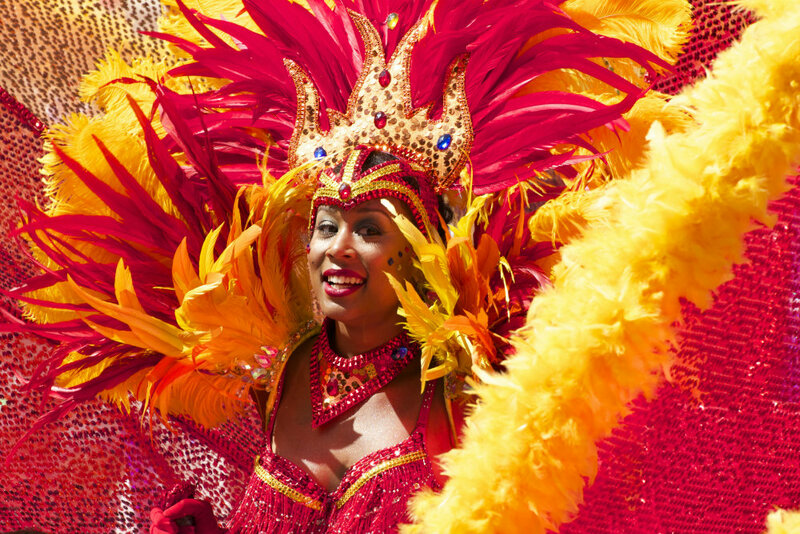 Stay tuned on Urban Travel Blog for more tips on enjoying the Rio Carnaval for free. Down the old cobblestone back streets by the iconic Candelária Church, is one of the only places you can see the government investing in the people… and they do it well. The Centro Cultural Banco do Brasil, is a prodigious art deco bank converted into a multi-floor, free, cultural playground hosting everything from renowned musicians to performance art. In this economically segregated city, it is one of the few places that unite all those wanting to satiate their culture palates. For more cool things to do, such as taking a favela tour – such as this one recommended by GetYourGuide – or enjoying lunch at the Copacabana fort check out some of the editor’s recommendations here. Those with more times on their hands should consider spending a weekend at least on the nearby island of Ilha Grande, home of some of Brazil’s best beaches. For the opportunity to sip champagne in an infinity pool overlooking Ipanema Beach, the 5-star Fasano hotel, designed by Philippe Starck, is the place to check-in to. Whilst if you just need a place to nap between festas, then the Ocean Hostel is cheap and cheerful, spotlessly clean and is in the heart of Ipanema’s hostel row. If you require something in between, allow me to introduce Casa Bromelia, the (gorgeous!) colonial villa that I myself run just one block from Ipanema beach. From homemade organic breakfasts to rosewood floors, from private verandas to handmade furniture, at Casa Bromelia you will experience Rio in exceptional comfort. Aside from hospitality we also aim give our guests a local’s insight on how to find the heartbeat of this city, and for example I personally host samba and other Rio excursions, which allow you experience Brazilian culture at an everyday level without the fear the media says you should have. For a wider range of other unique places to stay, peruse the well respected site Hidden Pousadas or via international site Booking.com (filtered for superb accommodation only). It is too easy to pay a fortune for inedible food in this former Brazilian capital. That said, the economy’s turn for the worse in recent years has spawned creativity as well as a healthy movement back to the roots of traditional cuisine. For a local favorite that suits everyone’s pocket, try carne de sol and aipim frita at the northeastern food market, Feira de São Cristovão. Just a skip up the hill is the 100 year old bar Armazem São Thiago. Located in the former bourgeoise neighborhood of Santa Teresa, this boteco will keep you full with rich delicacies such as bolinho de abobora (pumpkin balls). Back to the jungle, Lorenzo, defines ambiance with flawless food and incredible South American wine. 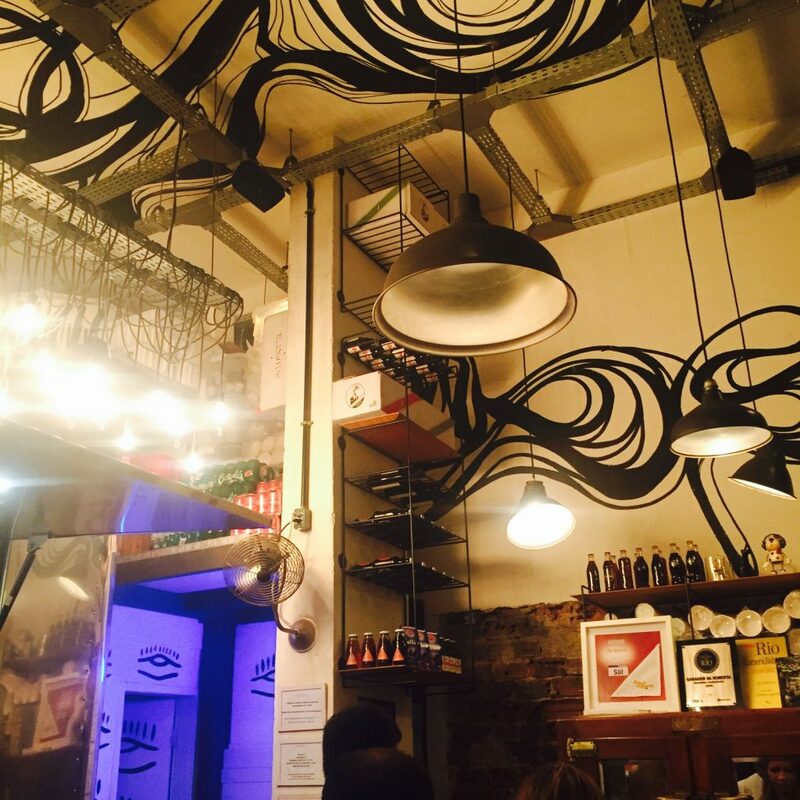 But if you are craving a taste of where modern Carioca cuisine is at, have a meal at Da Roberta in Leblon – which defines this street food meets gourmet movement. Most international carriers have a route to Rio, but if you are jetting in domestically from the likes of Brasilia, Recife or Salvador, try Brazilian carriers GOL, LATAM or Azul. There are two airports, Galeão/Tom Jobim (GIG) which is further out of town and Santos Dumont (SDU) which is in the center. There is no metro service from either, but both offer the slow Premium Onibus Service into Zona Sul for a few reais (note: this could take over 2 hours in traffic). Taxi service is prevalent, but make sure you get in a registered cab. Uber is often blocked at the airport, so if you would like a driver waiting at arrivals, just contact your accommodation to make arrangements. Once you’re in the city the best way to get around is still taxi. The metro is reliable but neither user friendly nor extensive. The public bus doesn’t always stop at marked locations and routes change quarterly. Above all, for safety, you never want to look like you are lost in this city which is why a taxi is always recommended, especially at night.. The Rio Times has been at the forefront of providing news in English about culture, politics and nightlife for foreigners and locals for years. If you are after just hard Rio facts presented in a stylish fashion, check out the government site visit.Rio. 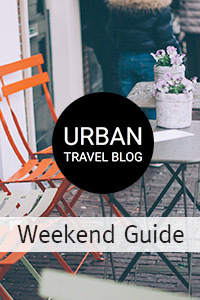 To enter a local’s perspective on ‘how to guides’ or ‘what it’s like to really live there’ don’t look any further than the Bromelia Blog. The Monocle guide is as if Rio herself wrote a guide book on the most obscure and fascinating things of this city. 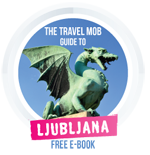 It provides suggestions about the hole in the wall joints that not even the locals know about. To enter one way into that Bossa Nova state of mind, it’s not a bad idea to pick up a Paulo Coelho book and begin to scratch the surface of how deep this country’s roots of passion lie. Otherwise try the excellent Spilt Milk, by Chico Buarque – Brazil’s answer to Bob Dylan, in which a dying centenarian relates his life story from his hospital bed. While I adore Brazilian films, many tend to focus on the incredibly violent side of favela life. Watch the classics Cidade de Deus or Tropa de Elite, when you are in the mood for a hard dose of reality. But if you are looking to understand the essence of why this city is so magnetic, check out Orfeu, a film showing the real force behind Carnaval and favelas: love. For lighthearted escapism, featuring Michael Caine, try Blame It on Rio… it’s very dated but kinda fun. Lauren is a California girl who created Bromelia Rio Travel in Brazil. She is a culture diver who thrives off of tropical beaches, delicious food and conversation at a local watering hole. More on Lauren.